Here's another of my growing collection of Fluorescent Nail Polish from Born Pretty Store. This is a deep vampy purple that looks fabulous as a regular nail polish, however under UV light it's a bright fluorescent pink! Would look great on toes too! It's certainly a stunner and a polish to get you noticed. Excellent value for money, huge 15ml bottle. Check out my video below. 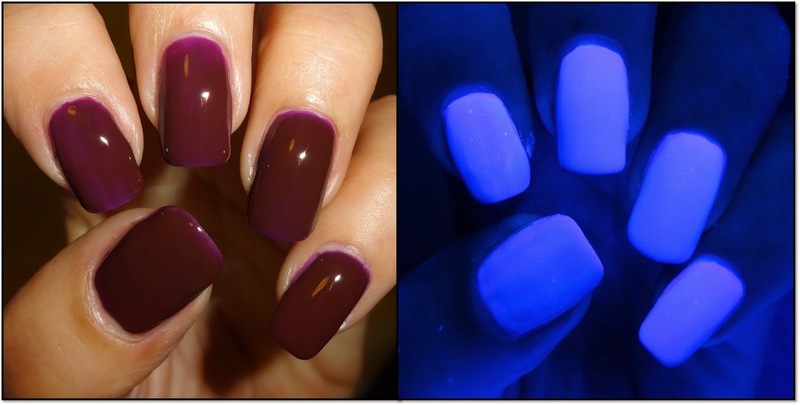 The Fluorescent Nail Polish costs approximately $4.99 / £2.93 / €3.66 and if you use my discount code HXBQ10 you get 10% off full priced items!! Check out the Born Pretty Store website for loads of cool nail art goodies. Great for the disco I guess...!